Sometimes, you don’t know your true calling until it finds you. This was certainly the case for Eric White, 33, the owner of Zydeco Construction. 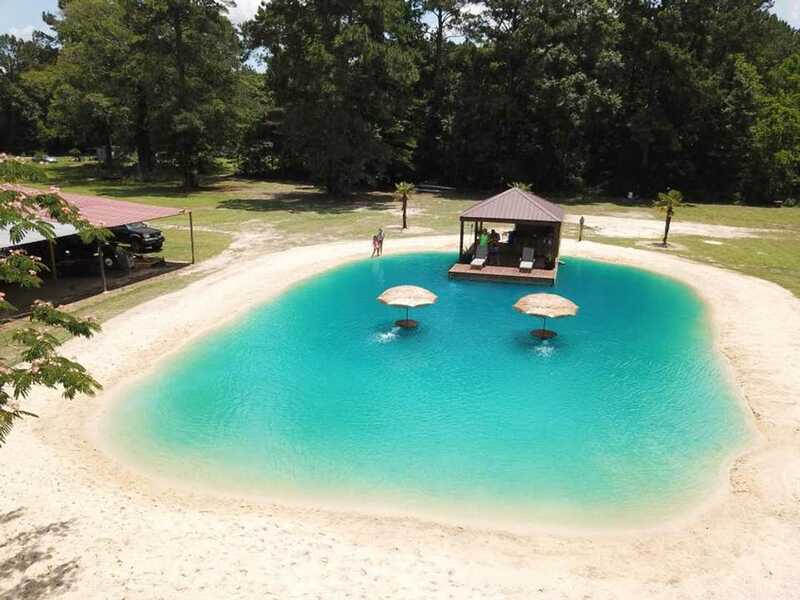 The once formerly-homeless man now owns a Louisiana-based company that builds beaches in people’s backyards, and he’s making millions doing it. When White was 15-years-old, he was homeless for about eight months. “Growing up, things weren’t easy for me,” he told USA Today. White dropped out of school in the ninth grade and only had a second-grade reading skill. “I could hardly even spell my name,” he said. Despite his lacking education, he always felt as if he understood construction. “I knew if I worked at it,” said White, “I could really do something with it.” He got his start working for a local construction company just to pay the bills. But later, he learned of a job opening with a Baton Rouge-based company that paid $12 hour. “The guy that I worked for there took me under his wing and taught me about the company. Within the first six months, I was managing the team,” said White. The ambitious individual continued to work his way up with various construction companies. Eventually, he started his own company, a pool business called Cool Pools. “That business did very well, and last year, I sold it for over a million (dollars),” he said. “It has always been a dream of mine to do these different things,” White said. “I am all about figuring out a way to make things happen. I can look at any situation and come up with a way to fix it. I like to stay in the market for things that most companies don’t offer, especially custom requests,” White added. White’s company also offers in-ground trampolines and outdoor kitchens. He also is in the business of drainage solutions and can build levees for homes that experience flooded backyards.